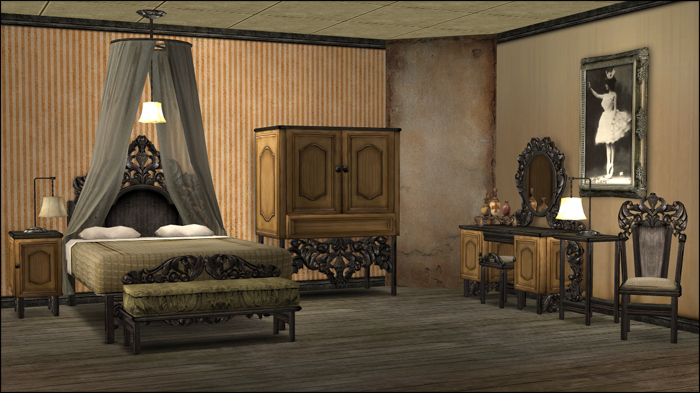 Description: A vintage-styled bedroom set. 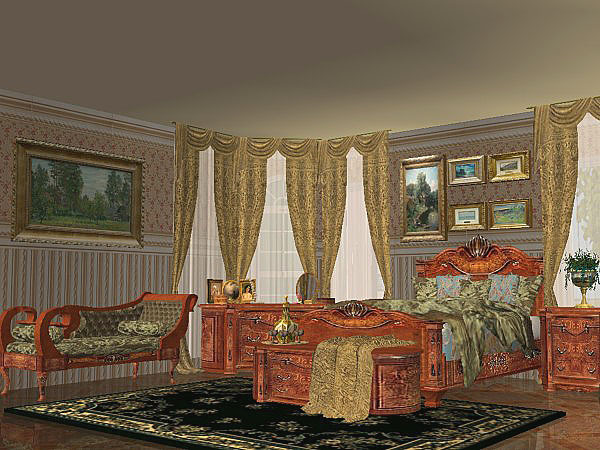 Description: A classic bedroom set. 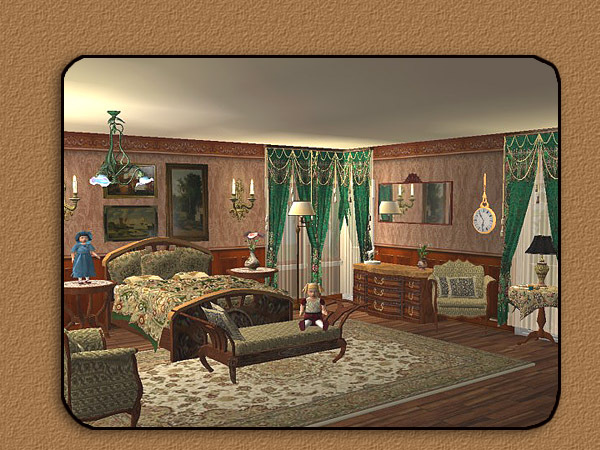 Description: A victorian-styled bedroom set. 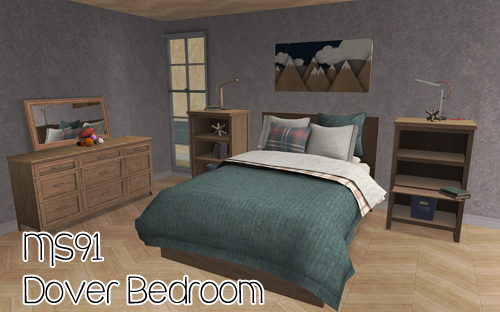 Description: Dover bedroom set converted.